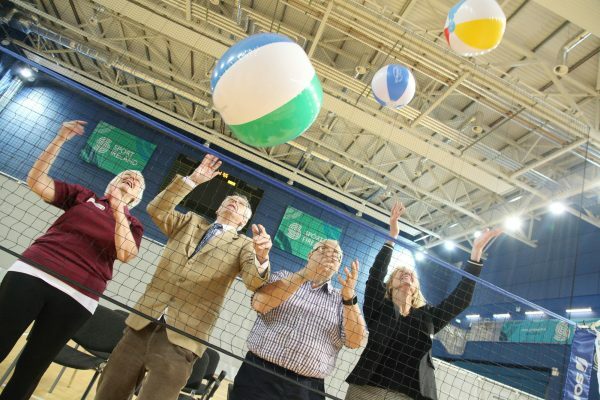 The ‘Go for Life’ National Grant Scheme has celebrated a momentous allocation of funding for sporting activities in older age-groups. The grants scheme, a combined initiative from Age & Opportunity and Sport Ireland, will distribute almost €6,220 across 19 groups in Offaly. Nationwide over 1,000 groups will receive grants totalling almost €300,000. The allocation brings the total grants allocated over the last 18 years to over 14,000 and the total fund allocated to date is €5.7 million. Edenderry Bowls Club, Golden Years Club, Edenderry ICA, Pullough ARA, Tullamore ARA, Seir Kieran ARA, Rahan ICA, Clareen ICA (Birr), BLC Developments/BLC ARA, Barna ARA, Mount Bolus Active Age, Clonbullogue ARA, Mucklagh ARA, Offaly Sports Partnership, Arden View Active Age Group, Irish Wheelchair Association, Cloghan, Athlone ICA, Mental Health Association, Offaly, High Street Belmont ARA. Age & Opportunity is the national organisation that inspires everyone to reach their full potential as they age. Our aim is to inspire people aged 50+ to live a dynamic and fulfilling life where they are more active, more engaged, more visible, more creative, more connected, more often. We work with communities and groups nationwide to provide a range of opportunities for older people who want to get more involved in arts and culture, sport and physical activity, education & personal development. Sport Ireland plans, leads and co-ordinates the sustainable development of competitive and recreational sport in Ireland. Sport Ireland’s vision is one where: sport contributes to enhancing the quality of Irish life and everyone is encouraged and valued in sport; young people see sport participation as an integral and enjoyable part of their busy lives; individuals can develop their sporting abilities and enhance their enjoyment, limited only by their talent and commitment; Irish sportsmen and women achieve consistent world-class performance, fairly.